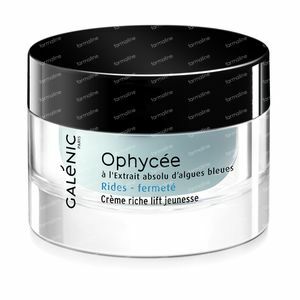 Galénic Ophycée Wrinkle Correction Cream Dry To Very Dry Skin 50 ml order online. 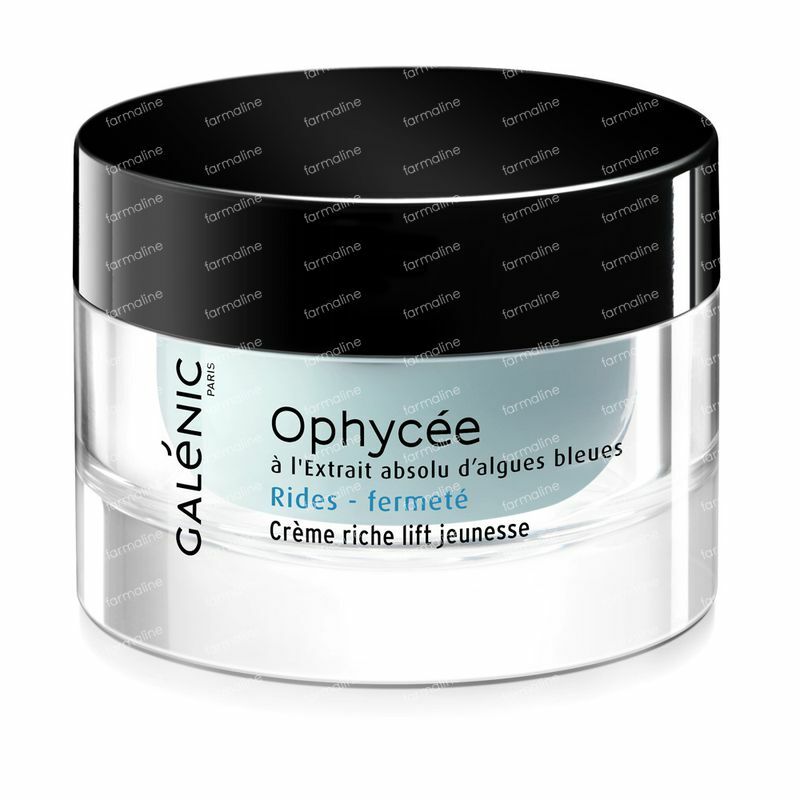 With a rich creamy texture, Rejuvenating and lifting rich cream fills wrinkles, firms and plumps up the skin with lasting results. The face regains lift and youthful bounce. Apply every morning to the face and neck. For best results, apply after using Supreme youth elixir. WATER (AQUA). PPG-15 STEARYL ETHER. COCO-CAPRYLATE. PENTAERYTHRITYL TETRACAPRYLATE/TETRACAPRATE. CETEARYL ALCOHOL. GLYCERIN. PEG-8. TRIETHYLHEXANOIN. GLYCOL PALMITATE. GLYCERYL STEARATE. PEG-100 STEARATE. BUTYROSPERMUM PARKII (SHEA BUTTER) (BUTYROSPERMUM PARKII BUTTER). CETEARYL GLUCOSIDE. METHYL GLUCETH-20. PENTYLENE GLYCOL. 1,2-HEXANEDIOL. ACID BLUE 3 (CI 42051). BENZOTRIAZOLYL DODECYL P-CRESOL. BHT. CALCIUM LACTATE. CAPRYLYL GLYCOL. DISODIUM EDTA. FRAGRANCE (PARFUM). HELIANTHUS ANNUUS (SUNFLOWER) SEED OIL (HELIANTHUS ANNUUS SEED OIL). HYDROGENATED LECITHIN. HYDROXYETHYL ACRYLATE/SODIUM ACRYLOYLDIMETHYL TAURATE COPOLYMER. ISOHEXADECANE. MAGNESIUM LACTATE. MALTODEXTRIN. PHORMIDIUM UNCINATUM EXTRACT. POLYMETHYL METHACRYLATE. POLYSORBATE 60. SODIUM HYDROXIDE. SORBITAN ISOSTEARATE. TOCOPHEROL. TOCOPHERYL ACETATE. XANTHAN GUM.